"Judy Lamppu: Producer, Screenwriter, Lyricist, Singer, and Ms. Senior Santa Clara" On WIN Without Competing! 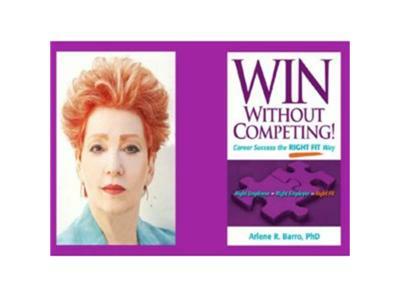 Dr. Arlene will interview Judy Lamppu. For the past few years, Judy has been writing and producing a CD/book project dealing with the loss of loved ones entitled “Grief Rhymes with Thief,” as well as a book for young adults and a Sci-Fi Pop-Rock Opera entitled “Real.” Working with Finnish Jazz star, Bianca Morales and her label, Beem Records International, Judy wrote all the English lyrics for two CD’s, the most recent, 13 songs on the newly released homage to “Roman Holiday” entitled “When in Rome.” This CD is considered to be a tribute to the great jazz classics of the fifties and sixties, with wonderful arrangements by Sven Nygard. Judy also completed an English version of songs for Bianca’s upcoming Christmas CD and an original holiday song, “Let’s Be Children for Christmas,” co-written with Bonnie Janofsky. Early in her career Judy and her partner, Patricia Ford, had the good fortune of getting one of their scripts to Peter Falk, who, upon reading it, didn’t care that they were unknown writers, and “Caution, Murder Can Be Hazardous To Your Health” became the 2-hour ‘91 season opening of "Columbo." To read more, visit...http://www.drbarro.com/.